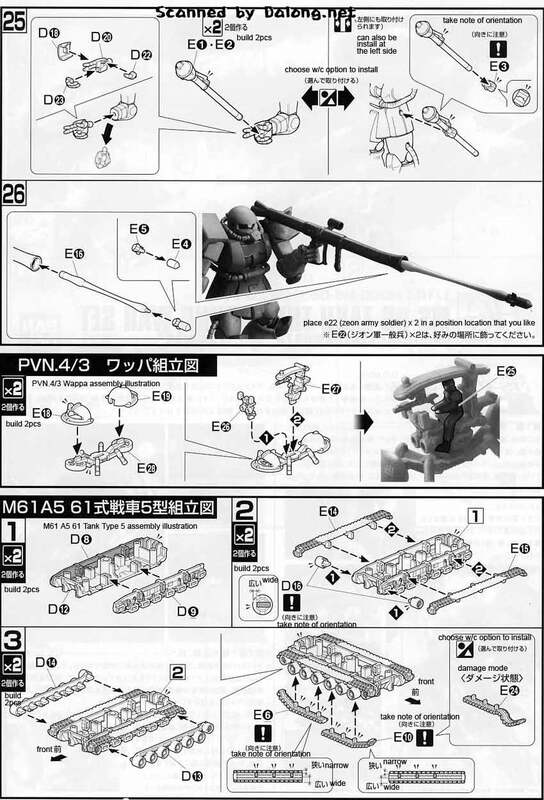 Bandai's Zaku the ground war set is a good buy in my book, because you not only get a 1/144 High Grade mobile suit, but also a string of miniature figures and vehicles. 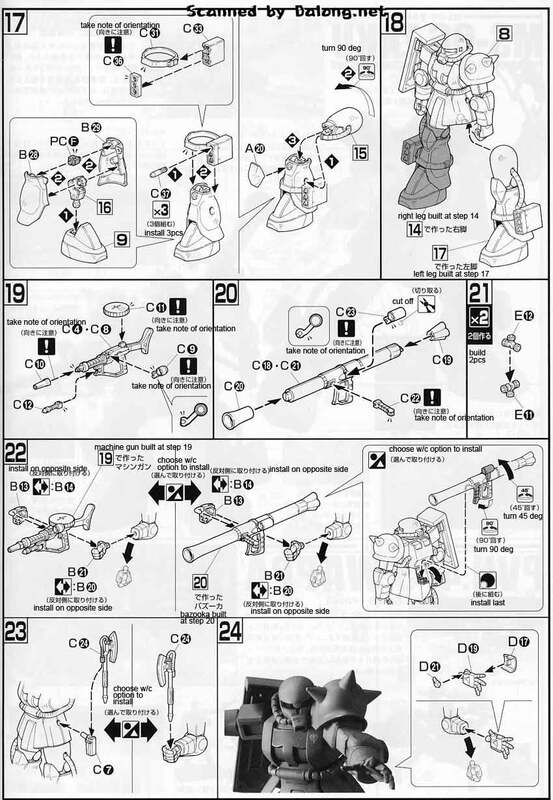 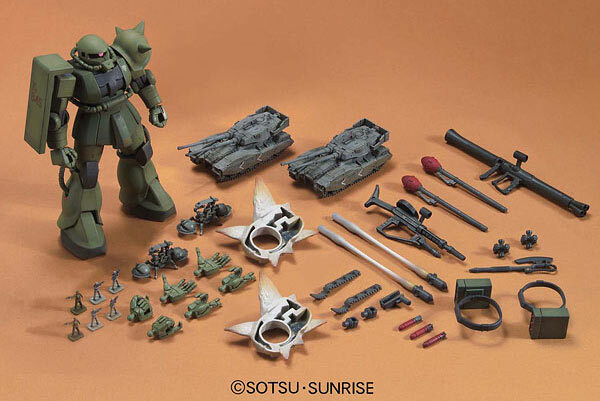 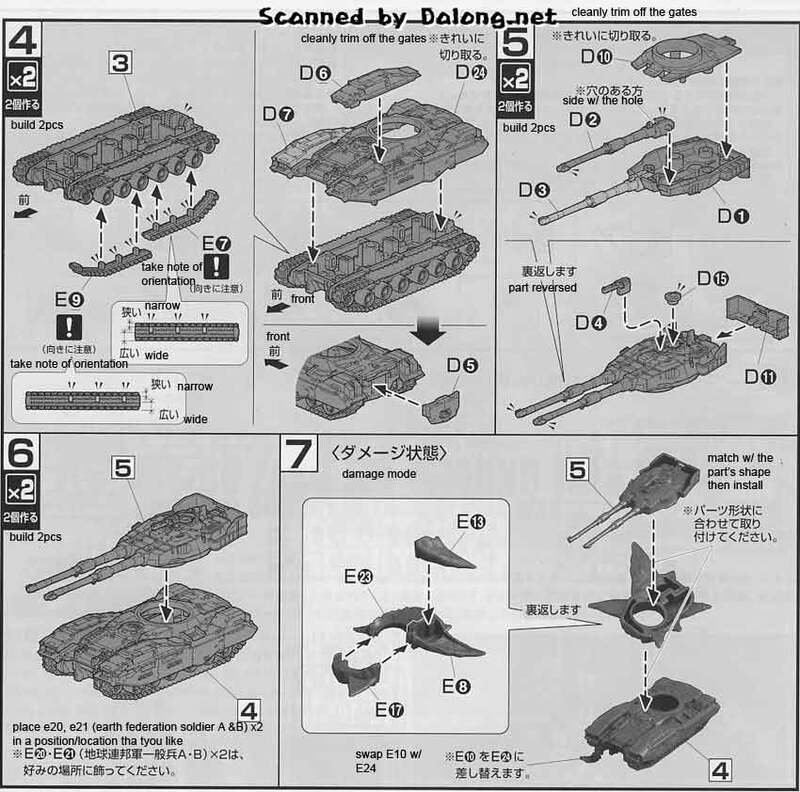 Released in February of 2009, the set comes with a high grade Zaku that has an extensive weapons portfolio, two Earth Federation Tanks (with option for battle damage), a Zeon Wappa hover craft and some Federation and Zeon soldiers. 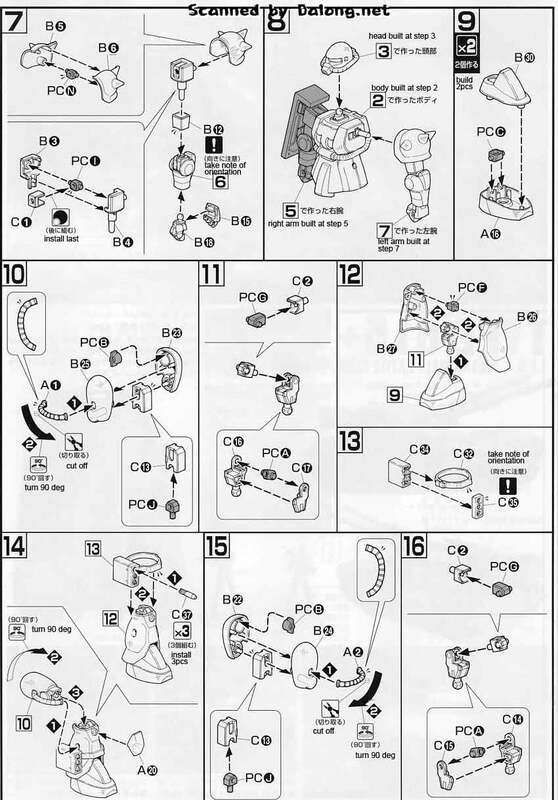 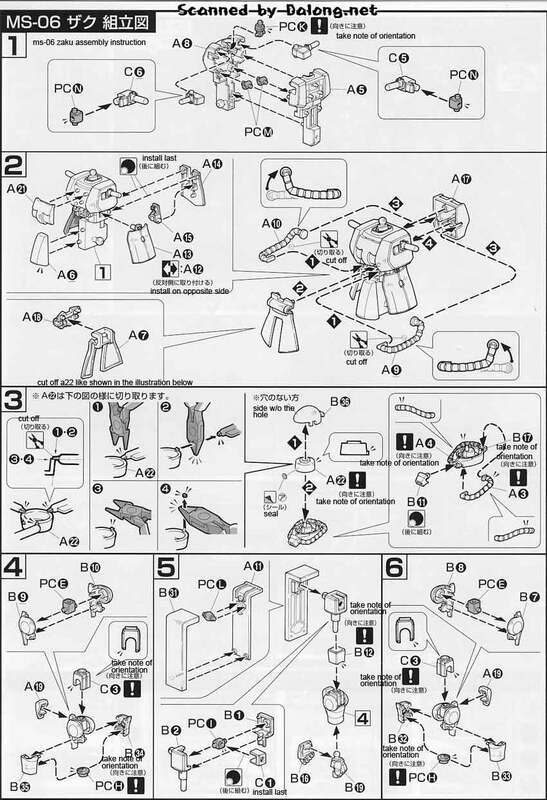 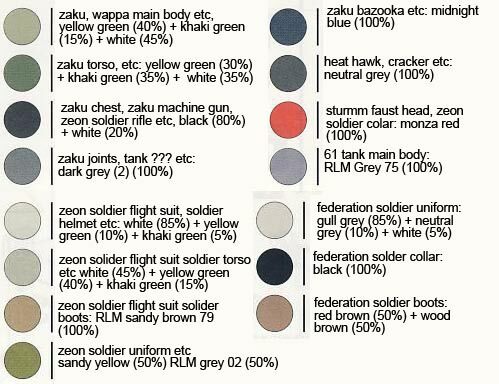 Color Guide & Manual was translated to English from the Japanese manual posted at Dalong's Gunpla & Model Kit Review site.